To help your students understand God's great love for them, explain the salvation story. 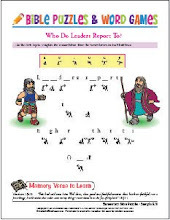 (See the blog post Leading a Child to Christ from May 17, 2010.) Conclude by saying, "When the serpent tempted Eve in the Garden of Eden, she ate from the forbidden fruit. Since sin (the wrong things we say and do) came into the world, humankind has been separated from God. But God was not ready to forget about us. God made a promise to Abraham to rescue His people, but the payment the devil wanted for us was high—God's own Son's life! God allowed His Son, Jesus, to die for our sins (the wrong things we do) because God loves us. God paid the highest price possible to make sure we were free from the penalty of sin. As we celebrate Valentine's Day, we remember this great love God has for us, and we thank Him for sending His Son, Jesus." Before the lesson, bake or purchase unfrosted heart-shaped cookies so each child can have two. Bring frosting, red sprinkles, cinnamon candies, plastic knives, wax paper, paper towels, and a plastic sandwich bag for each child. Give each child a sheet of wax paper, a plastic knife, some frosting, and two cookies. 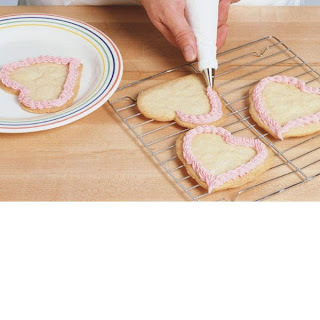 Let the child frost and decorate the cookies for a special guest who will be attending your class. Label each child's wax paper with his name in permanent marker. Place his favorite cookie in a plastic bag and the other cookie on the paper. When done, gather everyone in a circle, and have each child show the others his favorite cookie. Then have the child pass the cookie to the person on his left, so each child receives a cookie from another child. Explain that the special guests for this lesson are all the people in the room. Say, Each person is very important to God. God loves each one very much. Let the child put his other cookie in the plastic bag and label the bag with his name for refreshments or to take home after your lesson.